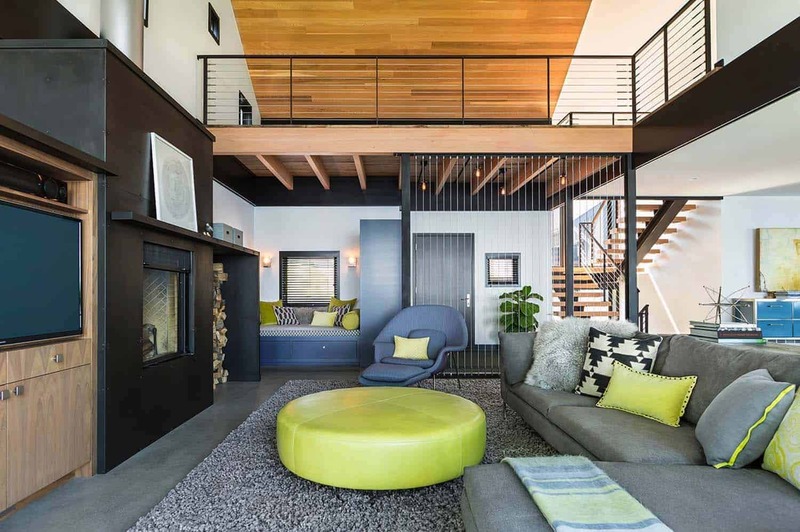 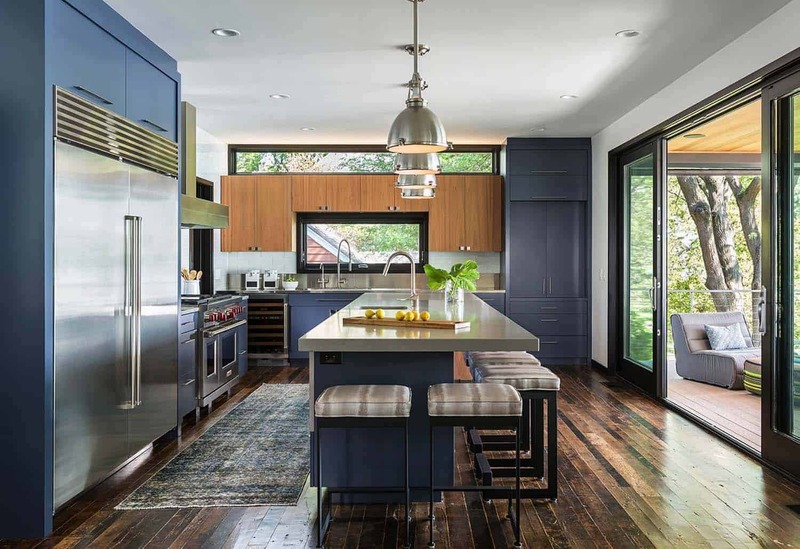 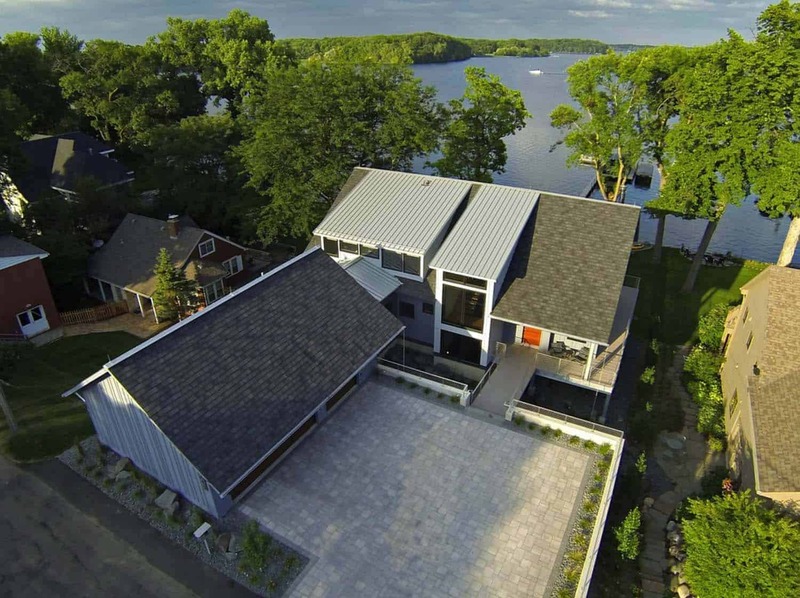 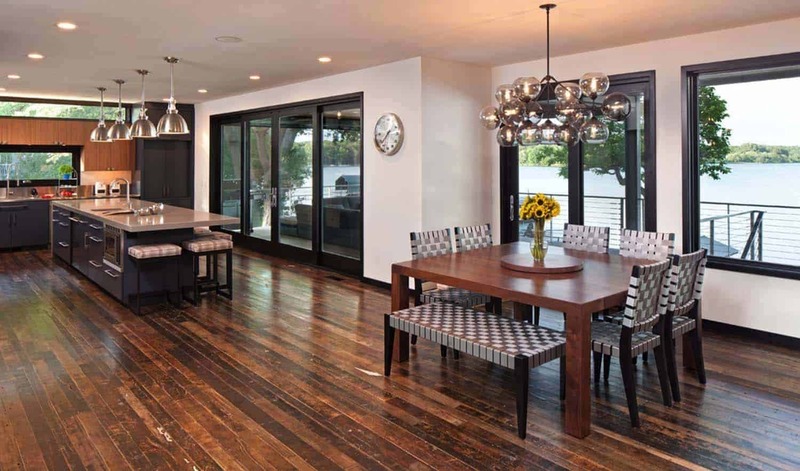 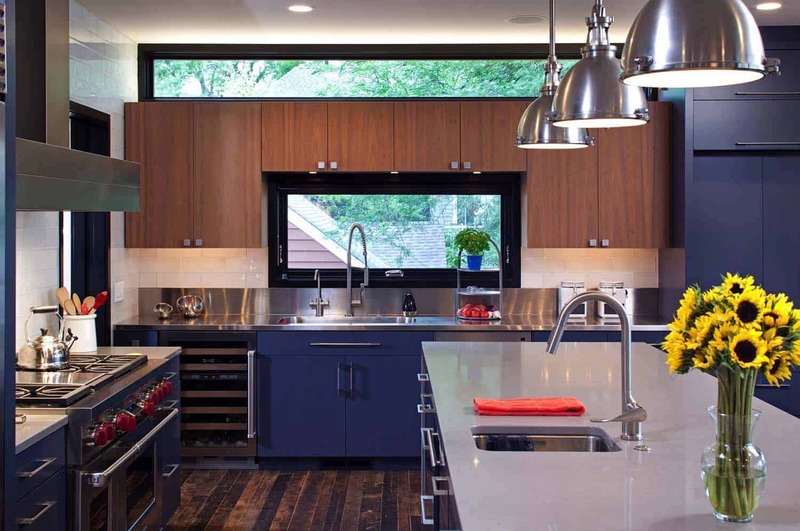 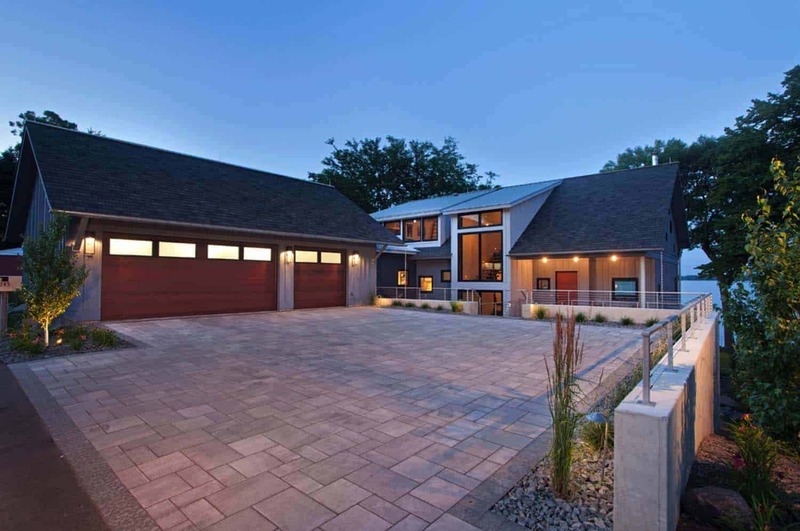 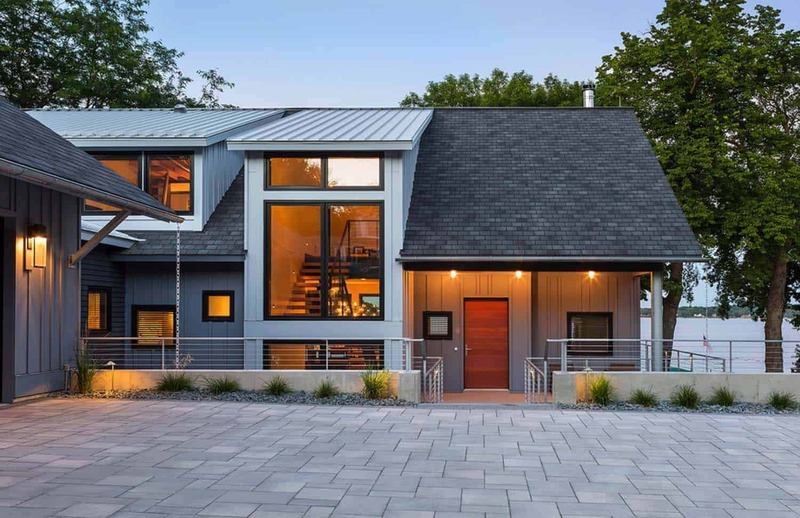 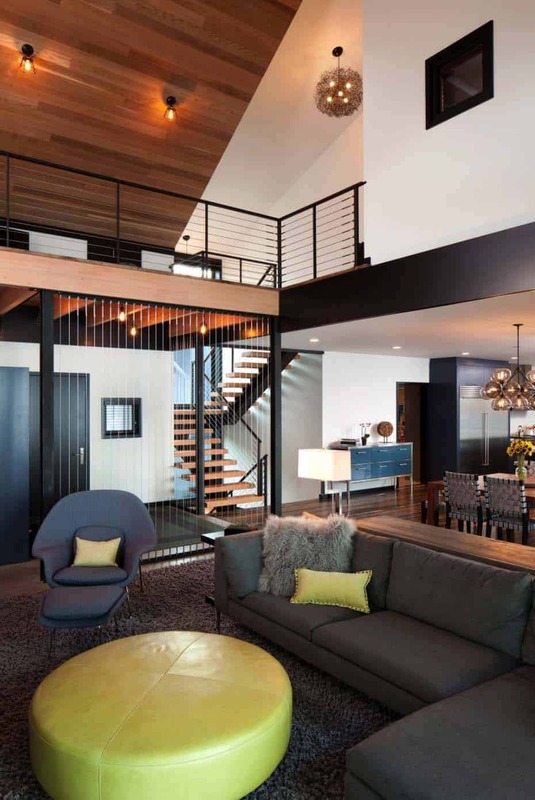 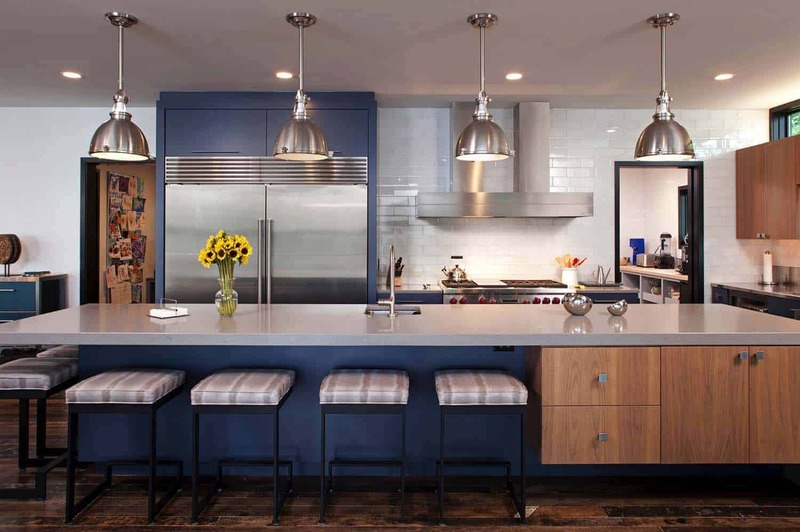 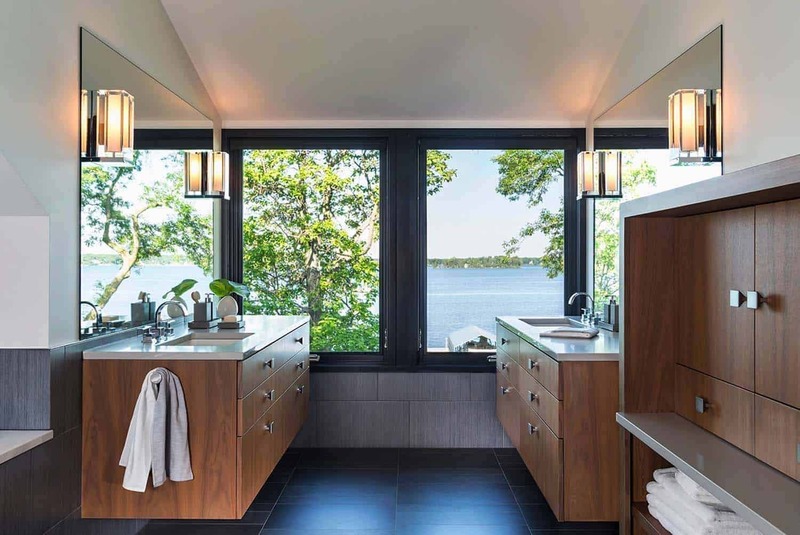 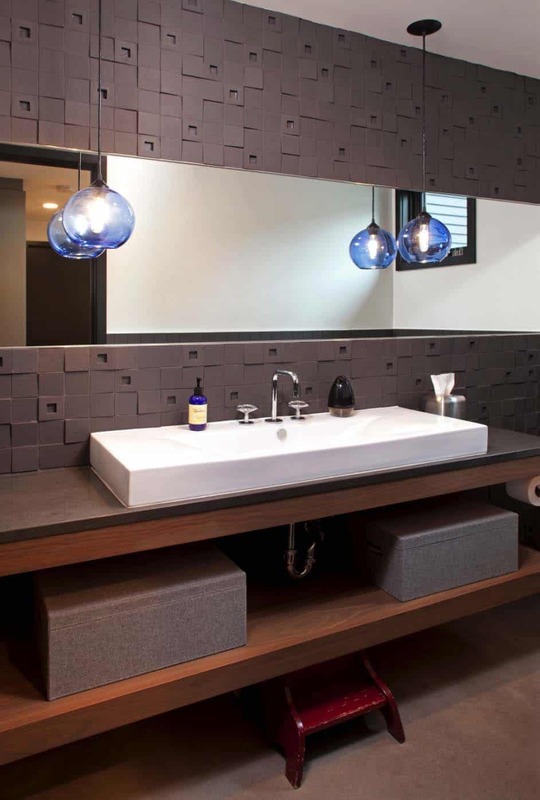 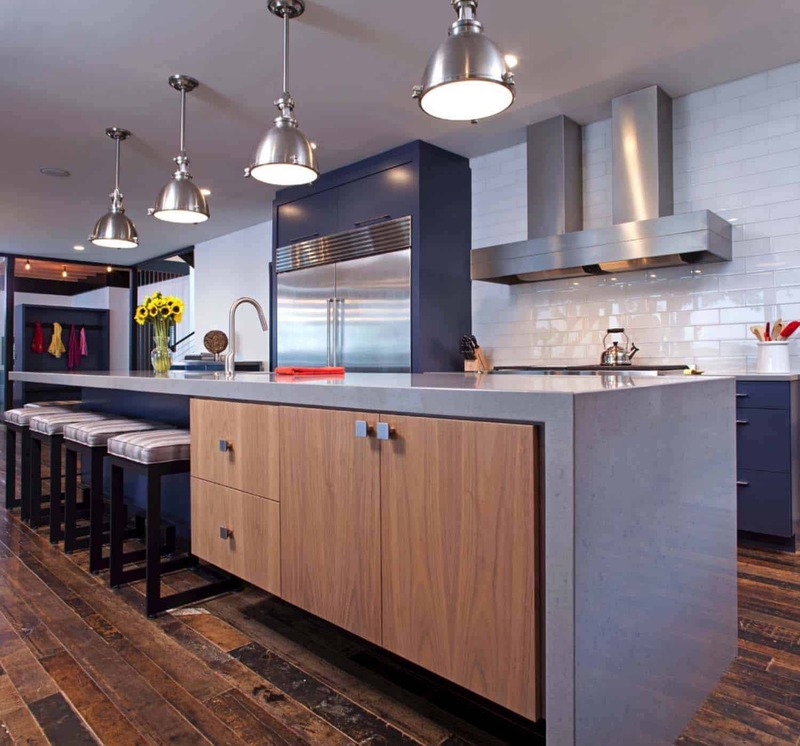 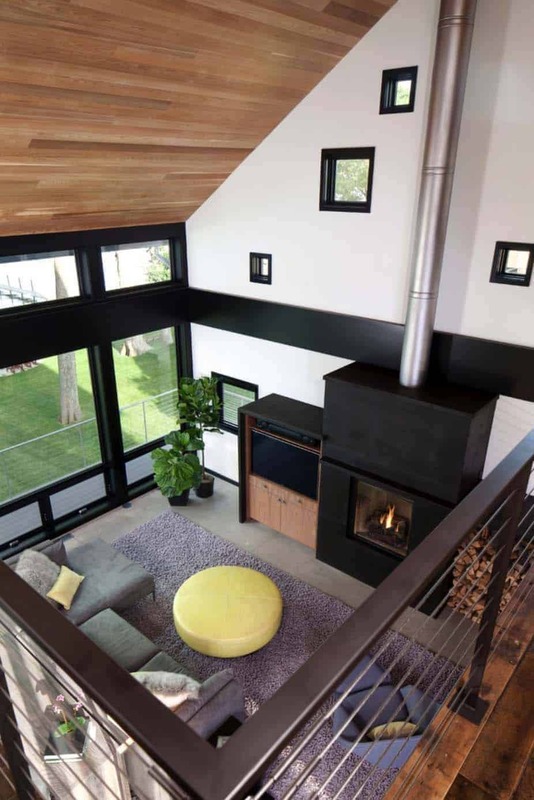 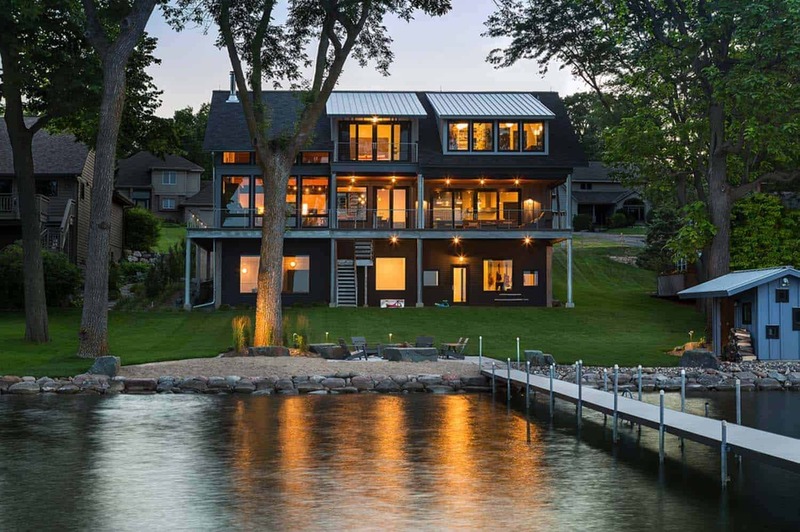 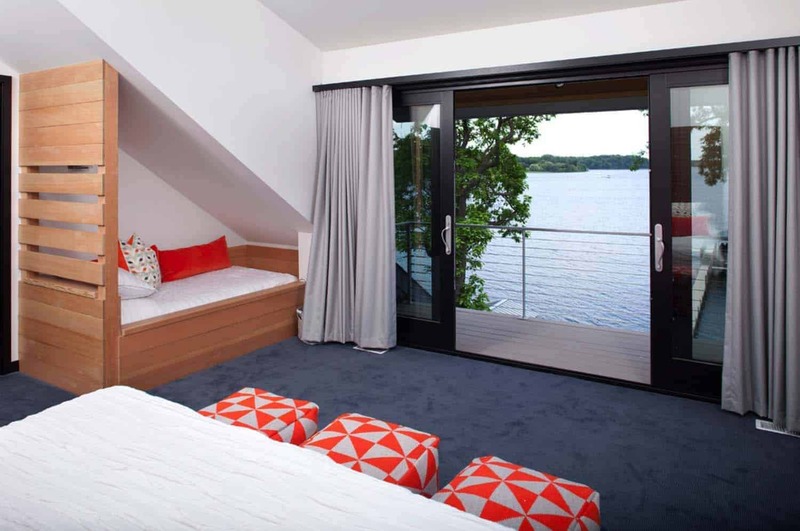 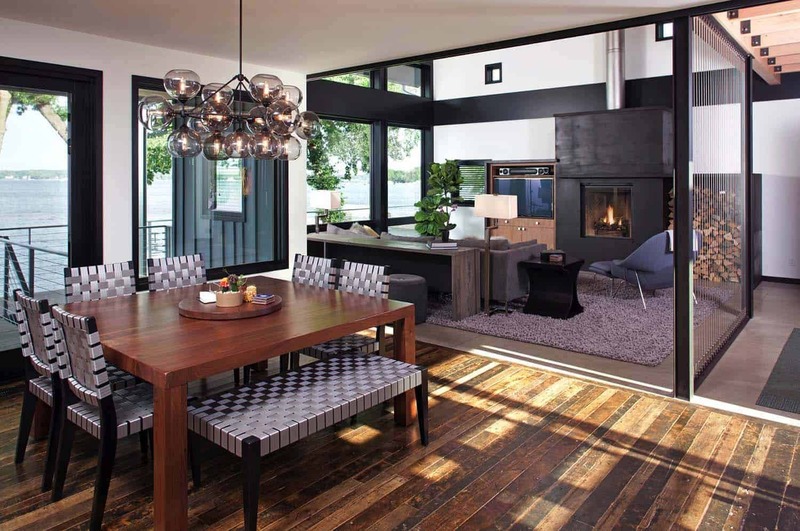 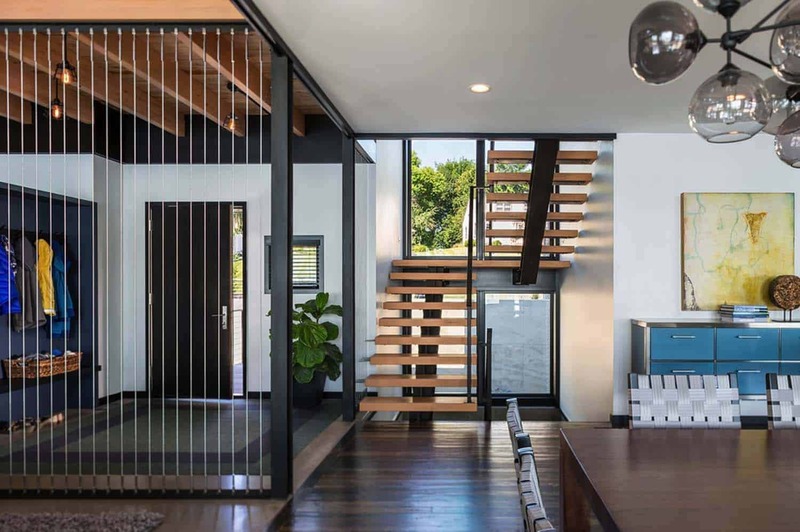 This contemporary lakefront home was created by Rehkamp Larson Architects, along with interiors studio Brooke Voss Design, located on Lake Minnetonka, Minnesota. 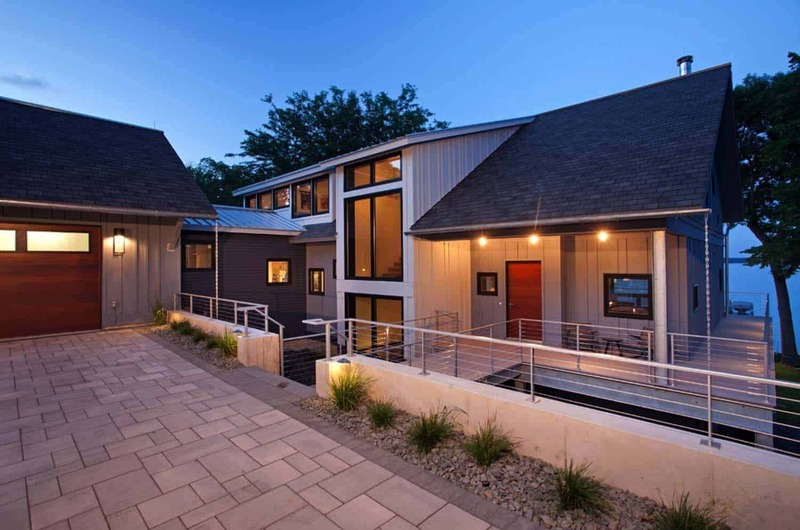 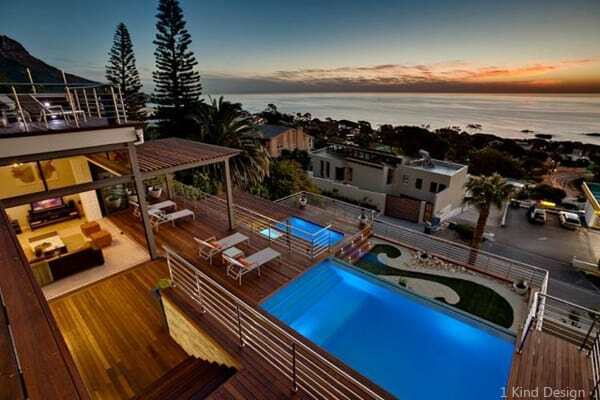 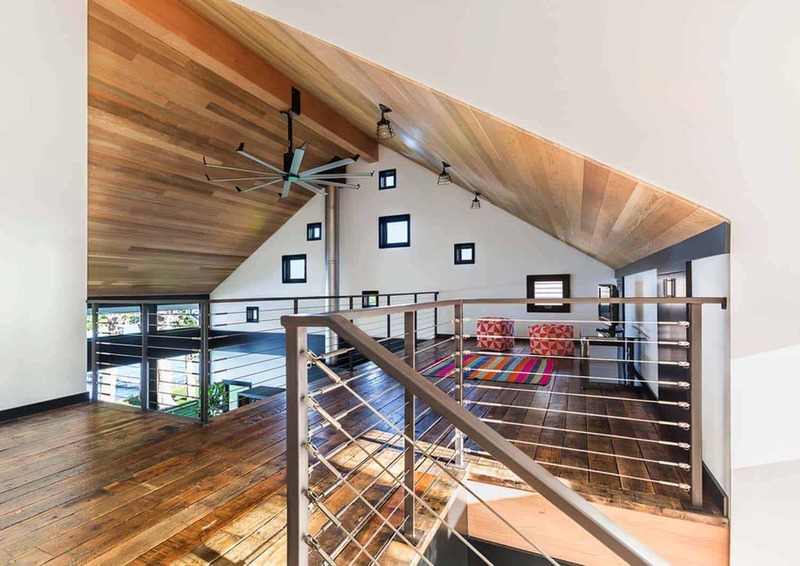 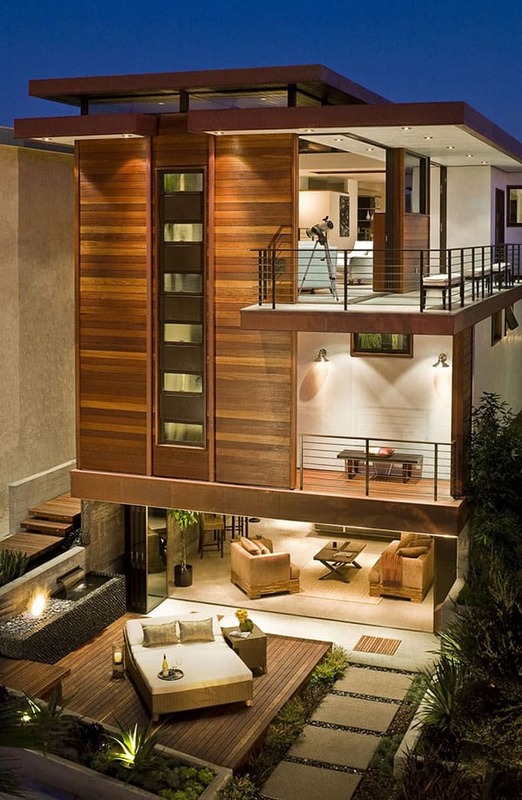 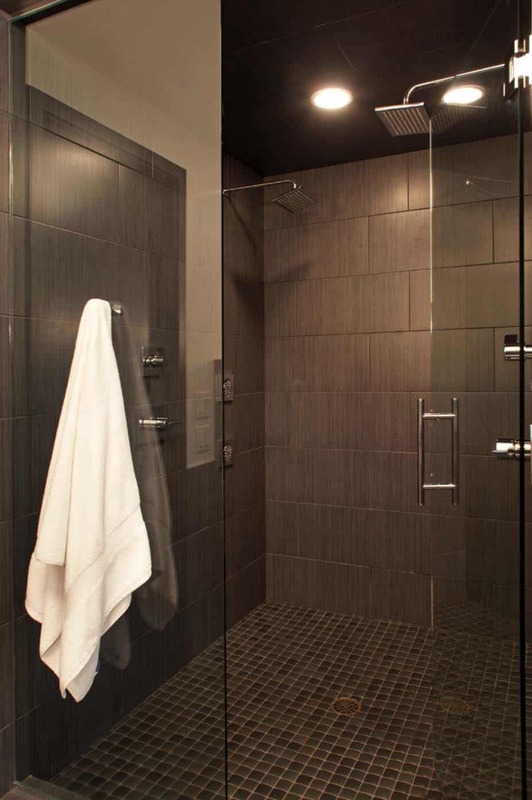 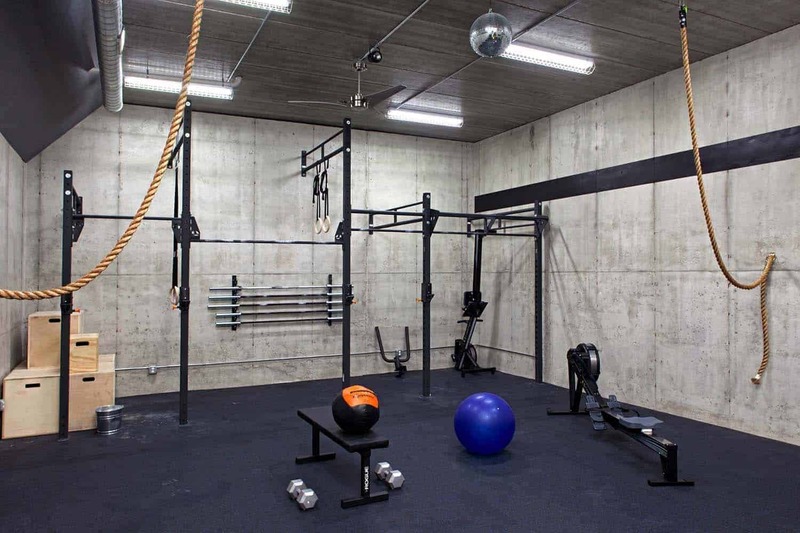 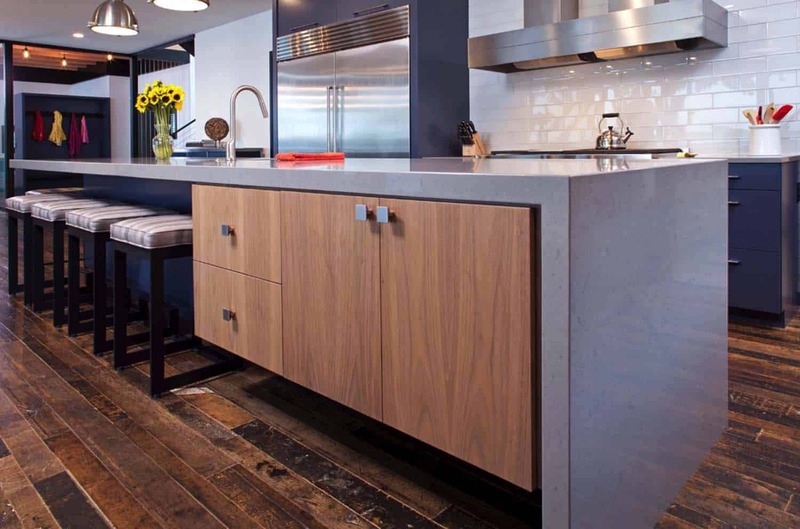 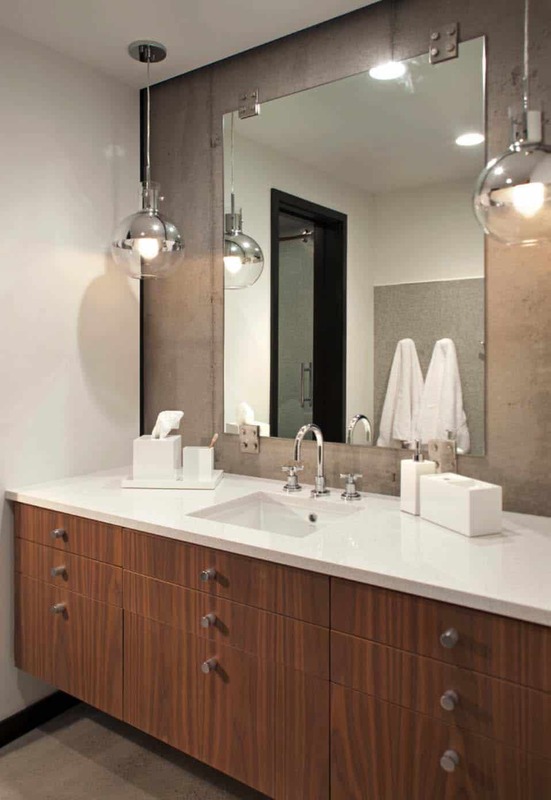 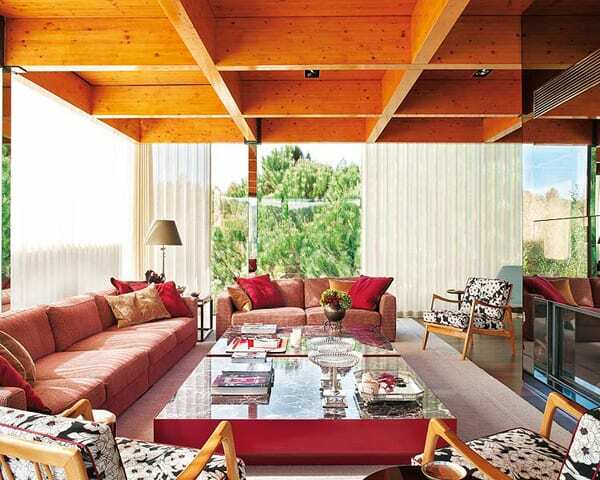 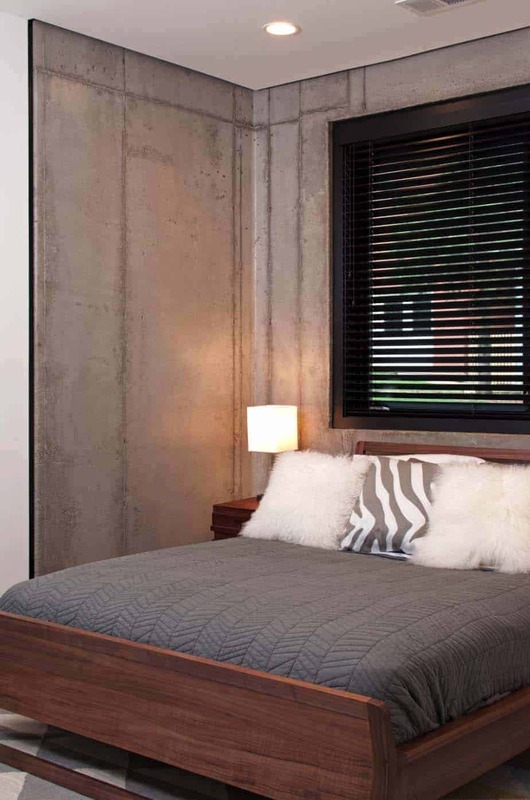 The residence was built by John Kraemer & Sons to cater to the lifestyle of a young and active family. 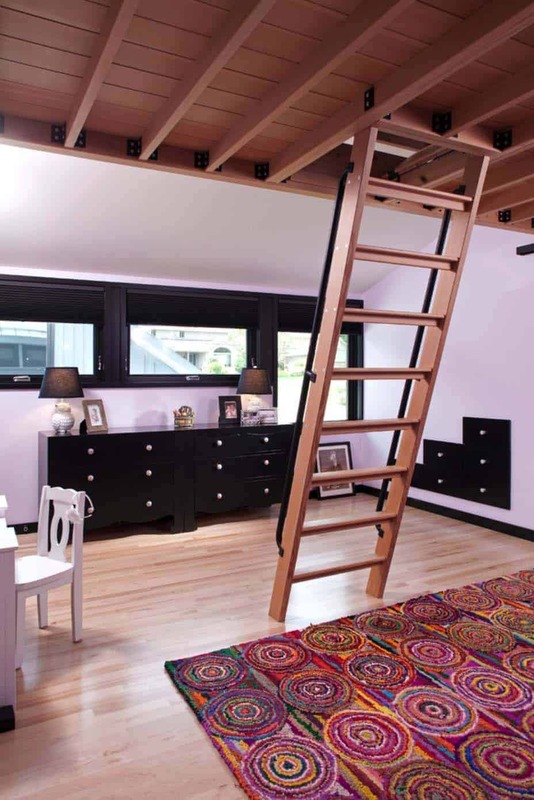 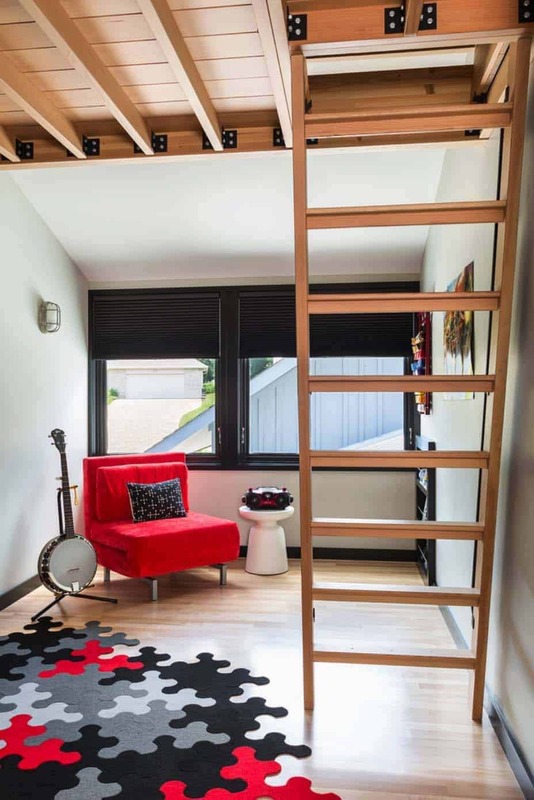 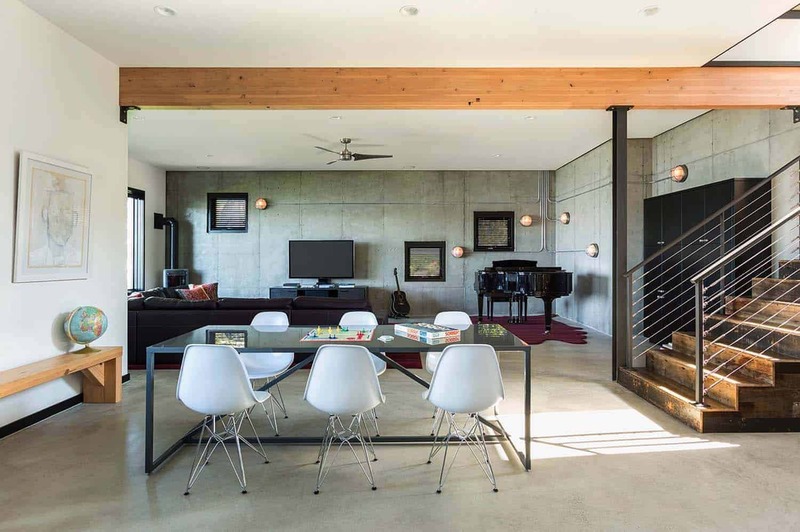 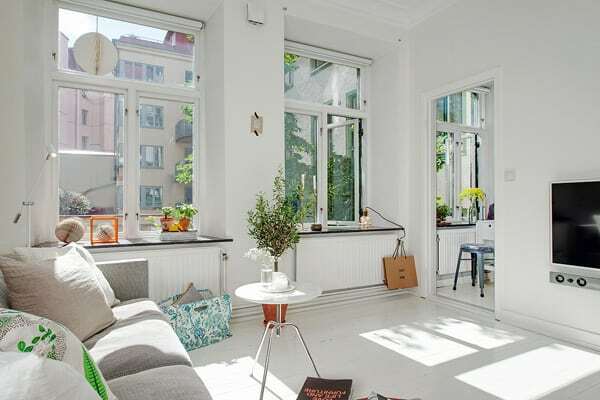 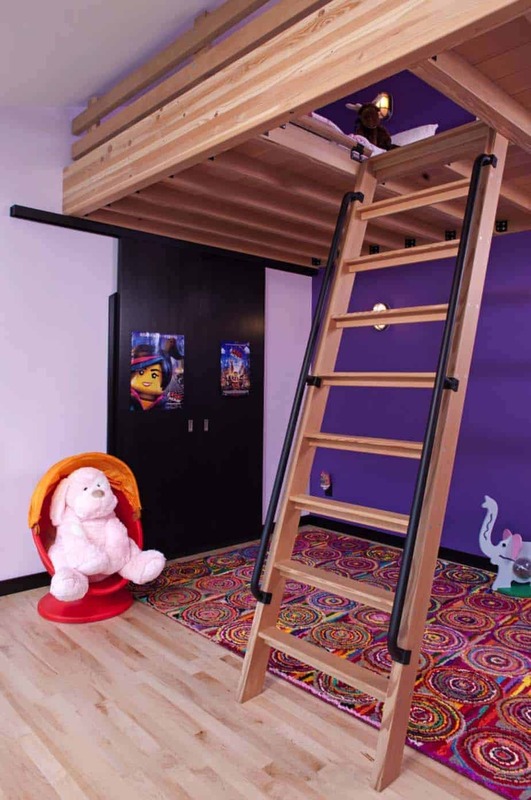 Spaces were designed and built with the primary focus of family interaction and entertainment. 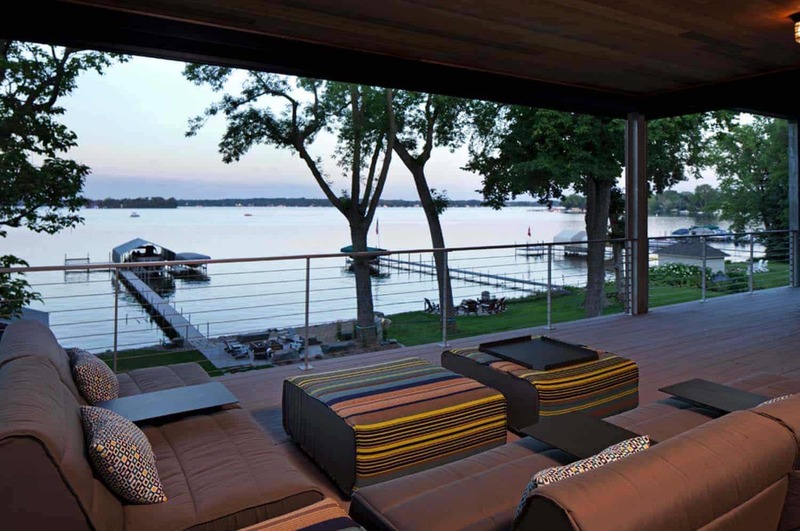 The goal of the project was to maximize views of the lake through expansive glass in some areas of the home, with playful peeks of landscape in others. 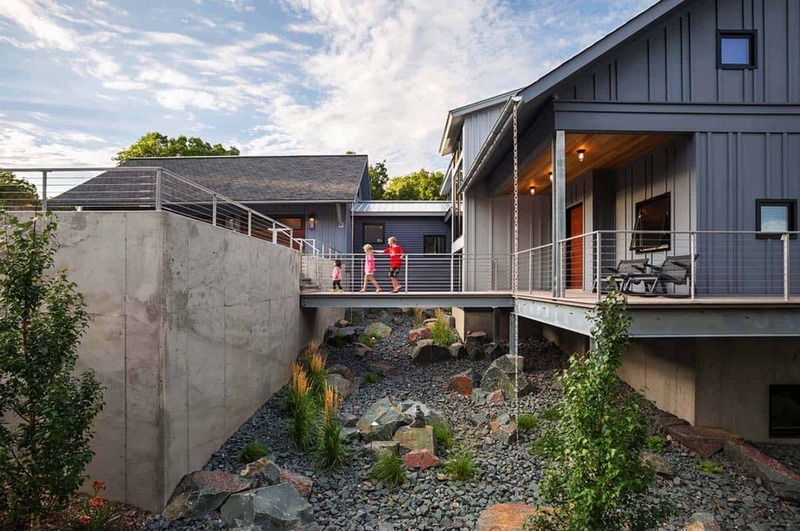 “A bridge leads to the front door and the moat below allows the steep grade to transition around the house and sensibly dispel runoff”, states the architects.